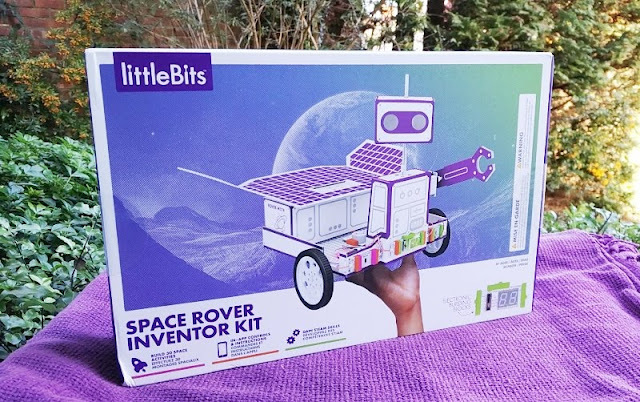 littleBits Space Rover Inventor Kit Remote Controlled Robot! 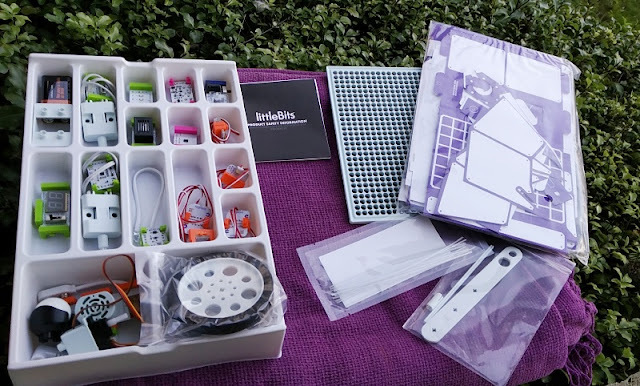 The littleBits Space Rover Inventor kit has a thoughtful modular design taking the concept of the breadboard prototyping board for testing and assembling the Space Rover 15 electronic Bits which make up the littleBits Space Rover Inventor kit. 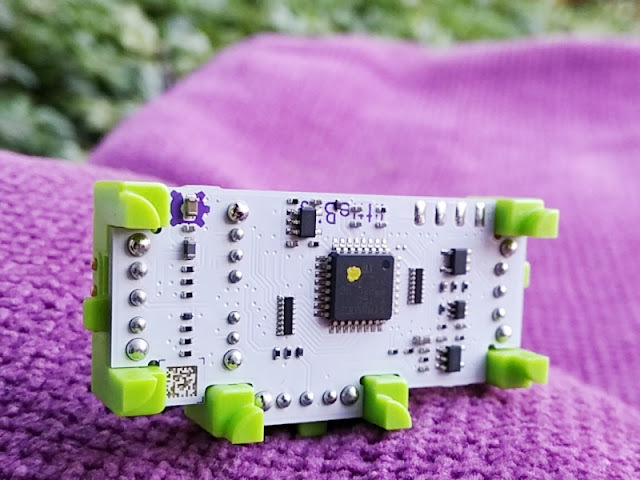 The Space Rover electronic Bits snap together magnetically and, just like the solderless breadboard, no soldering is required so little children can tweak connections relatively safely. 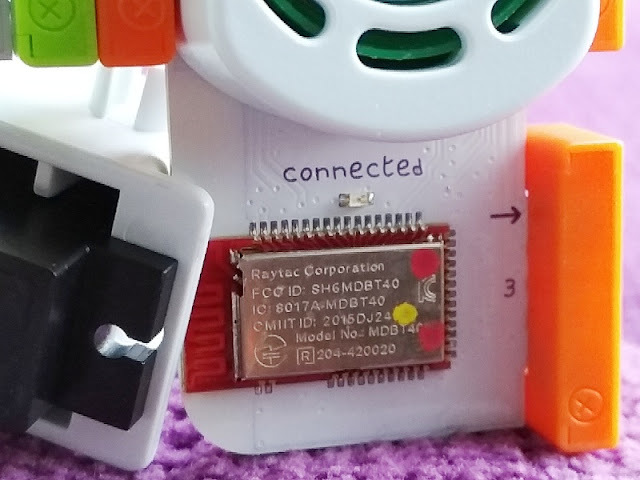 There are no sharp edges and the blobs of solder on the Bits are smooth to the touch. 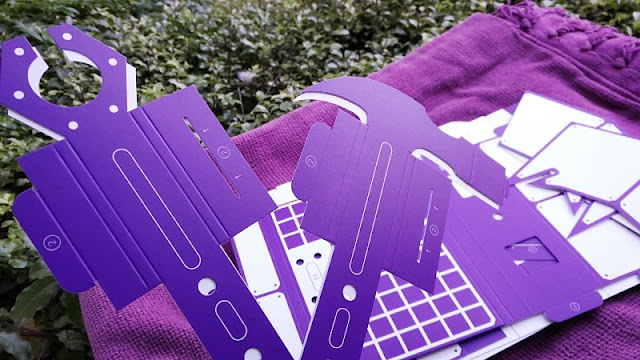 The breadboard prototyping board, as well as the cutout cardboard templates make the Space Rover's chassis. 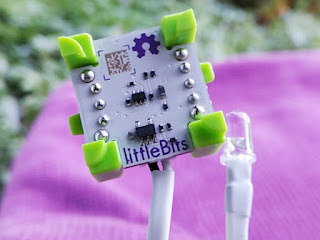 You also get an official littleBits sticker pad to spruce up the Space Rover. 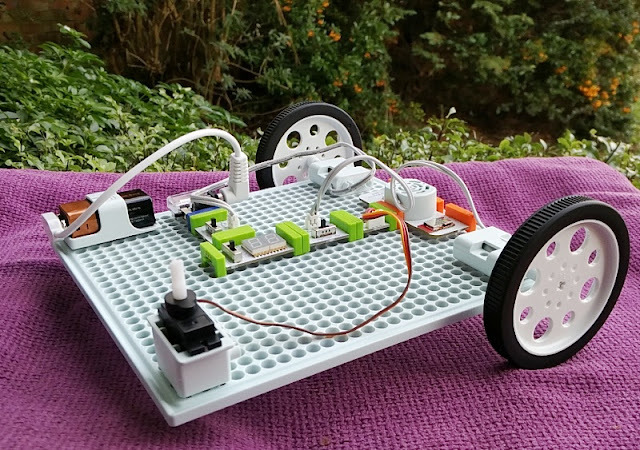 The Space Rover inventor kit is designed so you can build and customize a remote controlled planetary rover with similar add-ons to space exploration vehicles. The add-on features include a probe launcher, rock crusher, object detector and light detector. 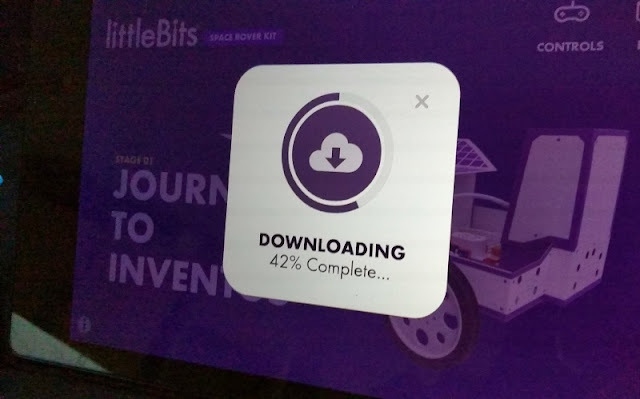 Along with learning about the formation of electronic circuits, the littleBits Space Rover Inventor kit comes with a companion app, called littleBits app, that teaches fun facts about NASA and how the Space Rover is put together. 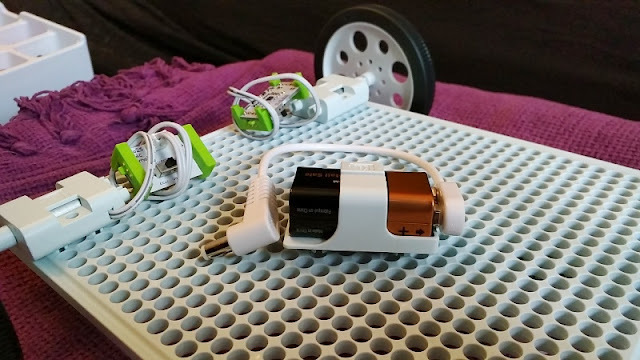 Children tend to become interested in space and astronomy between the ages of 6 and 9 so any children starting out Year 2 and Year 3 of school will find the Space Rover a cool bit of kit. They get to be introduced to space exploration, while having fun assembling their very own fully functional NASA-like mars exploration rover. 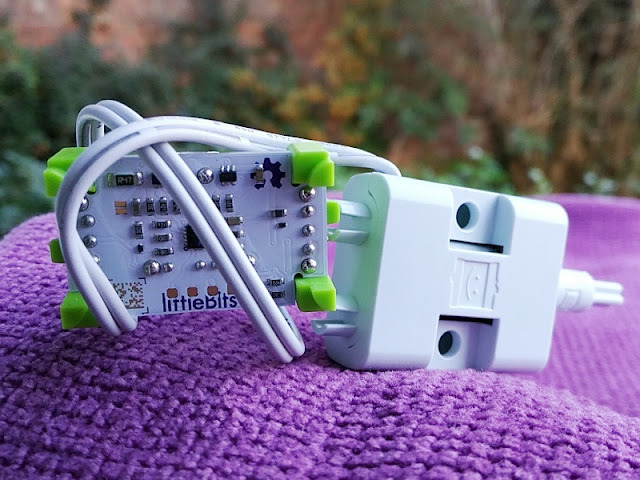 The littleBits long led is a single led attached to a long cable and board to extend light in hard to reach places. 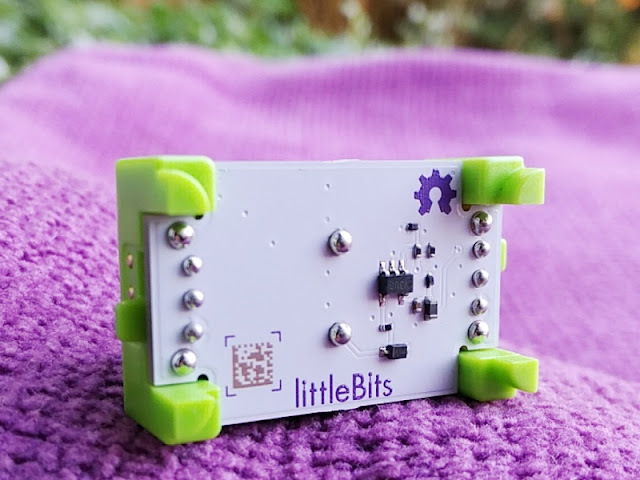 The littleBits Space Rover kit comes with two DC motors attached to a control board with a switch button to manually change the direction of the spinning motor (clockwise or counterclockwise). 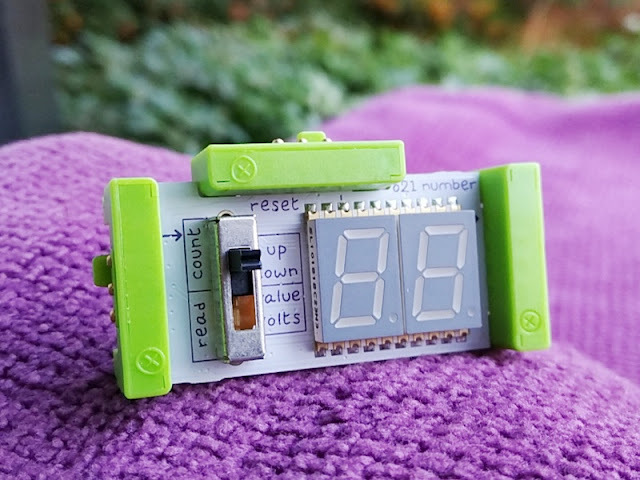 The number display Bit is a two-digit number display that display numbers from 0 to 99 so you can measure input numerically. 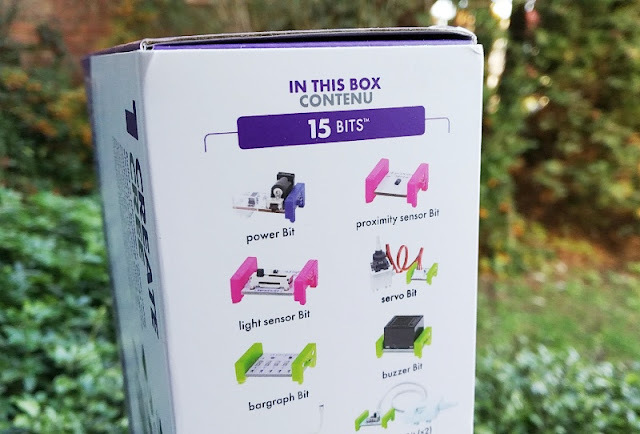 The littleBits number display comes handy when measuring digitally how far an object is from the Space Rover. 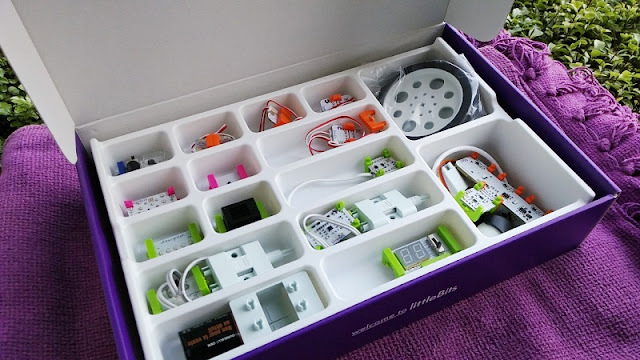 No electronics project is quite complete without a buzzer so it's nice that the littleBits Space Rover inventor kit comes with one. 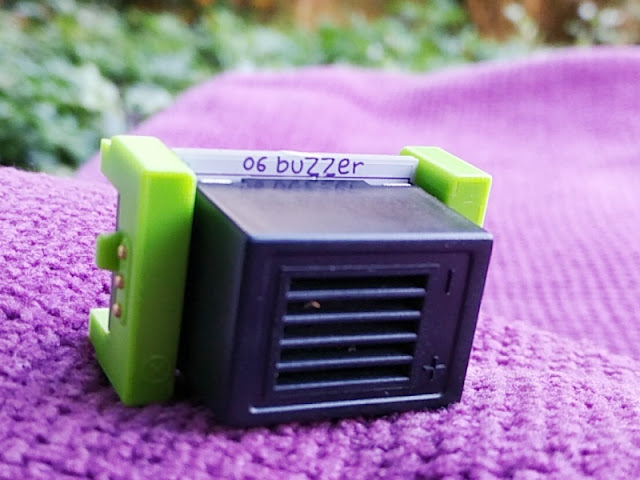 With a buzzer, you can have the Space Rover make a sound when it encounters an obstacle or when it senses something in its proximity. 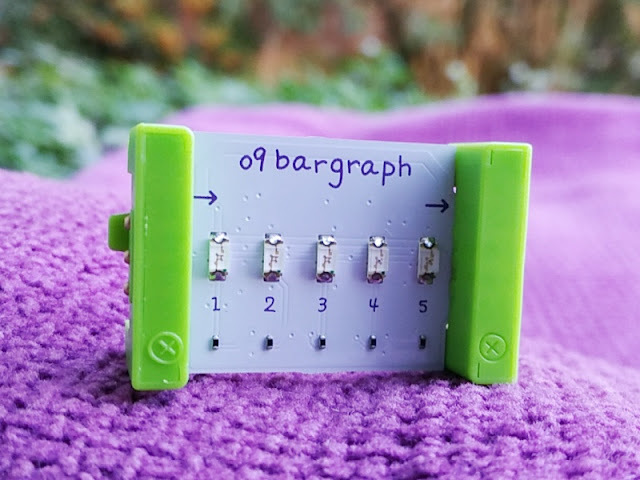 The bar graph is an led bar graph that measures input voltage. It's mainly used to indicate the level of things such as volume level or battery level. 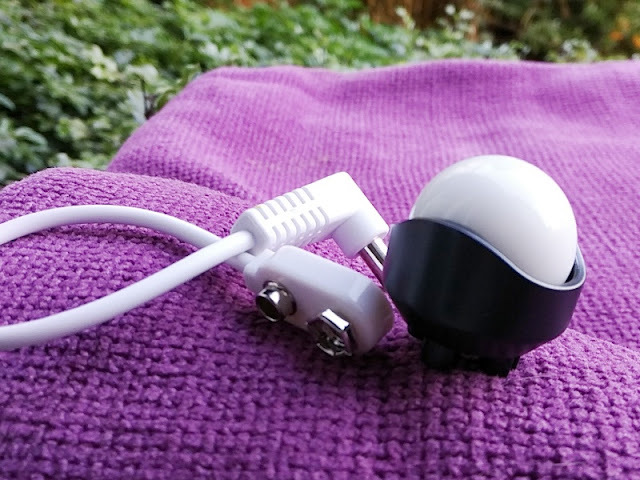 Bargraphs are found in many gadgets such as power banks, headphones and audio monitoring systems. 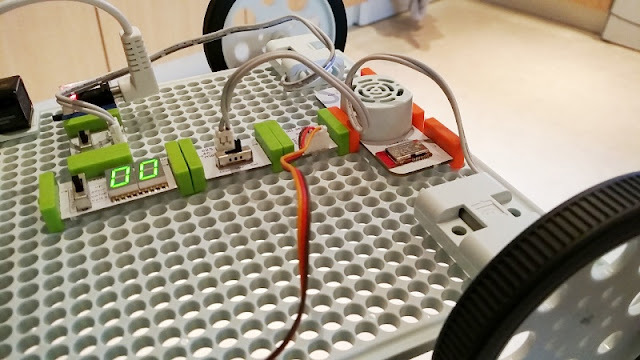 Led bargraphs are very popular with Arduino projects for a visual representation of how much voltage is going through the circuit. 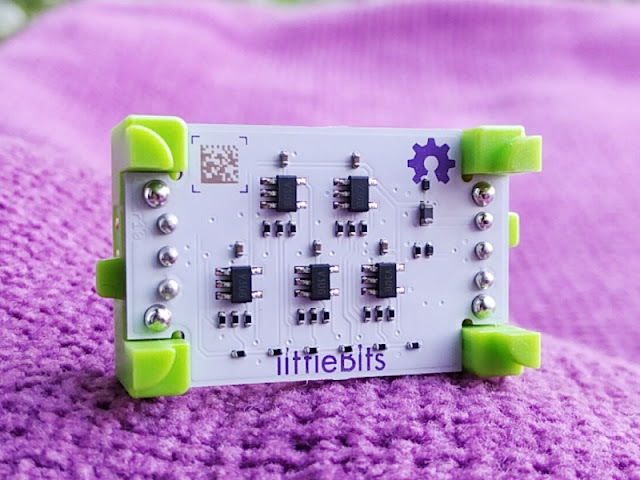 The littleBits bargraph contains 5 leds so it's like having 5 individual leds with 5 output pins so you can use the littleBits led bargraph as the Space Rover battery voltage indicator. 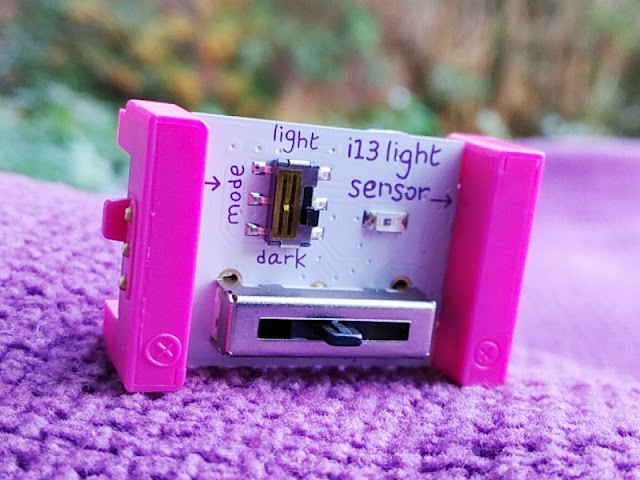 The i13 light sensor works similarly to the proximity sensor but instead of detecting objects, the light sensor allows you to control the Space Rover with light input so the amount of light you shine into the light sensor changes how the Space Rover behaves so you can operate the Space Rover without hands. 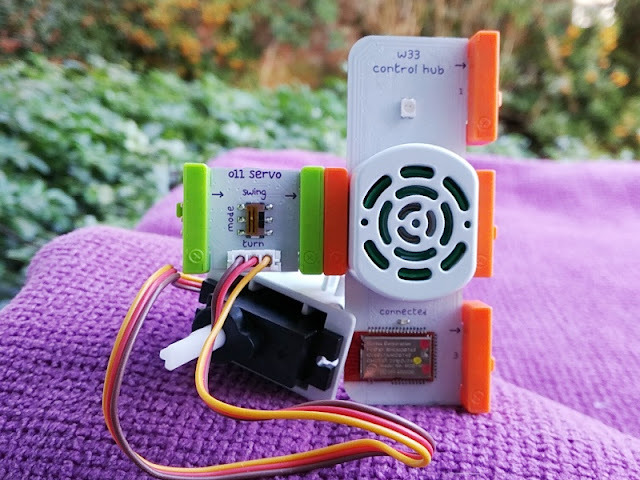 The Control Hub is effectively the wireless control centre of the Space Rover letting you remotely control the Space Rover via bluetooth connectivity over a tablet by downloading the littleBits mobile app from Google Play Store or App Store. 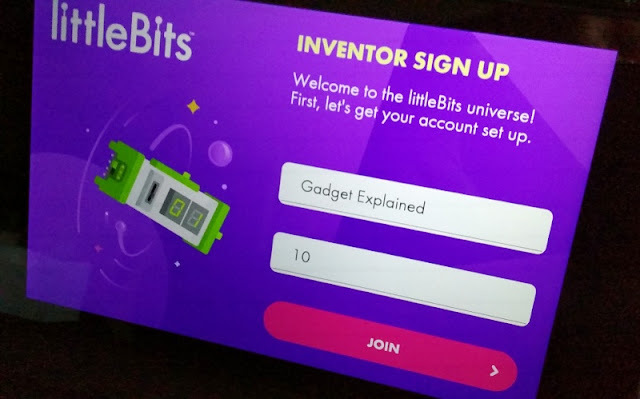 The littleBits app appears to be designed for tablet size devices only as the application user interface is fixed and will not resize on a smartphone. If you don't have a tablet at hand you won't be able to use the app properly on a smartphone as the information will appear cut off. As far as operating system compatibility, the tablet must run a version of Android or iOS no older than Android 5.0 and iOS 9.0 respectively. 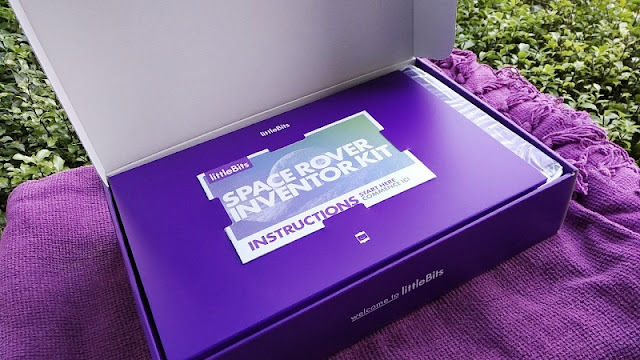 As well as being a remote control interface, the littleBits app is also the instruction manual of the Space Rover Inventor kit. 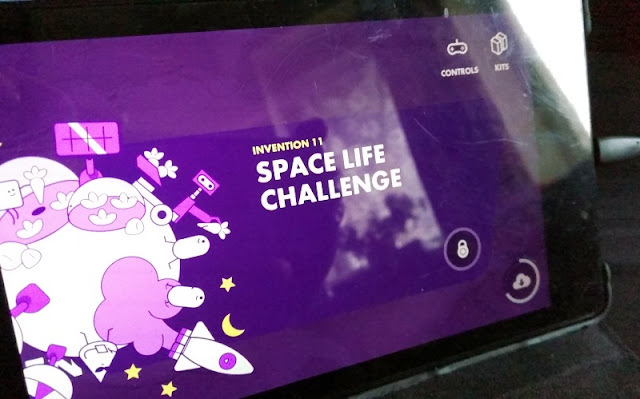 The app contains videos on how-to build the Space Rover and completing the missions. 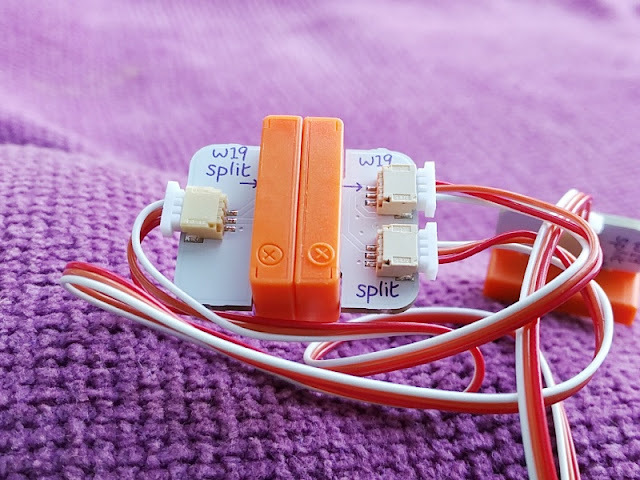 The littleBit w19 split module is essentially an electrical splitter that lets you connect a single Bit to power two other Bits at once. 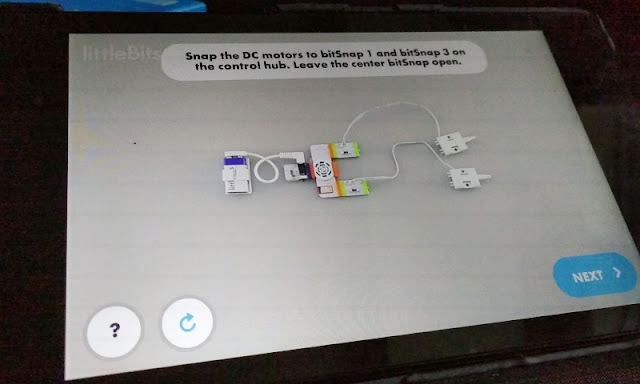 This is extremely useful as it allows you to connect, say, the i13 light sensor on one end and the DC motors on the other ends to power the 2 DC motors simultaneously to spin the Space Rover wheels. 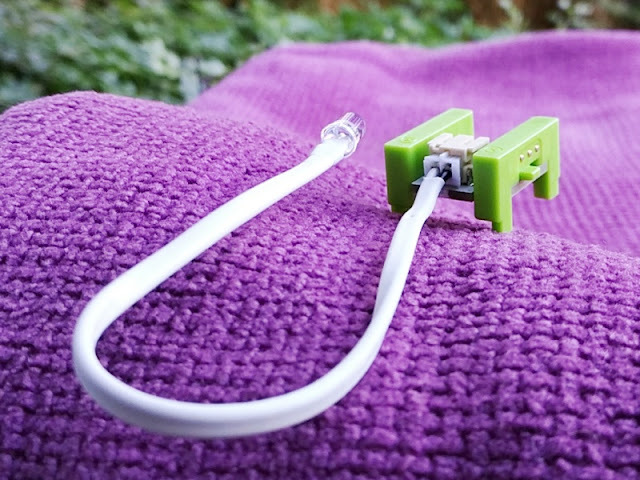 The littleBit Space Rover kit comes with three wire extenders each of which are basically two Bits connected to each other via a long flexible cable. 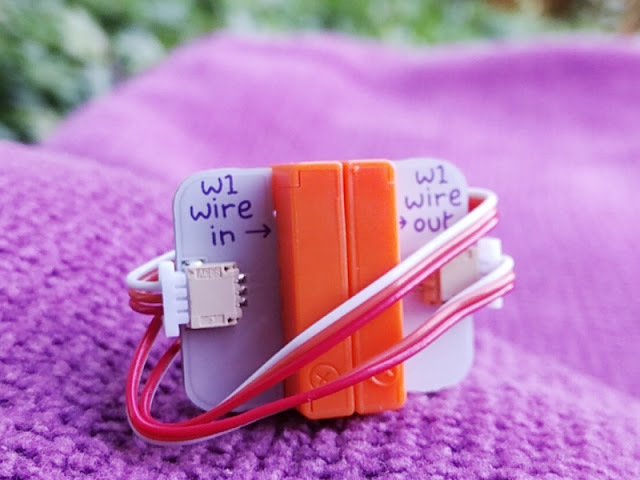 The wire Bits allow you to break up the chain of Bits so you can place other Bits farther apart from each other on the breadboard. 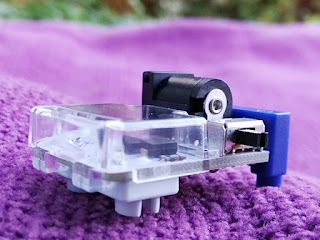 The o11 servo control module and 3 pin servo motor connect to the servo control module via a 3-pin connection. 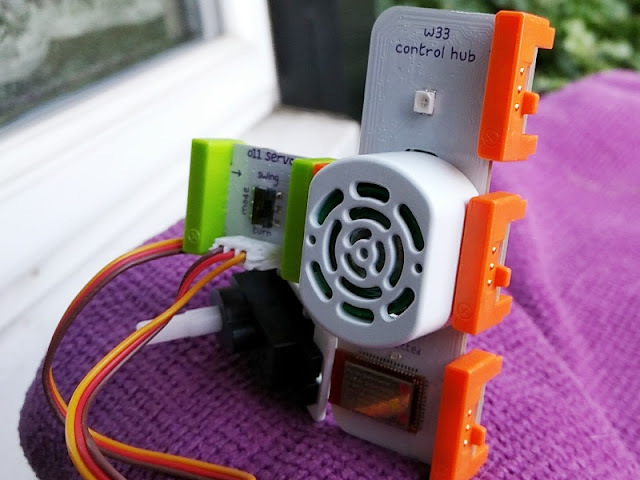 Unlike a DC motor which spin continuously, the servo motor spins at intervals like the hands of a clock. 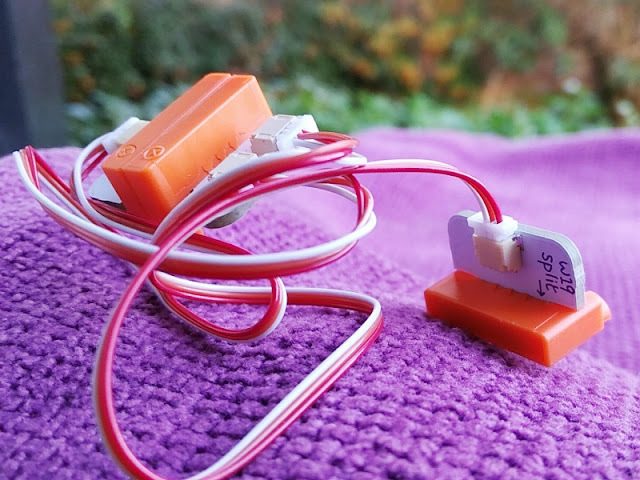 The servo control module features two magnetic connections on either side and a switch with two programmed modes: swing and turn. 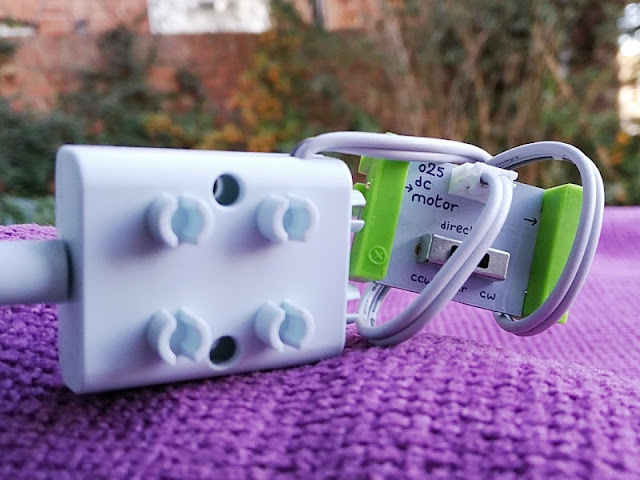 Flicking the switch to swing mode makes the servo motor swing back and forth, while turn mode makes the servo motor turn to a specific position at a maximum of 145-degree angle. 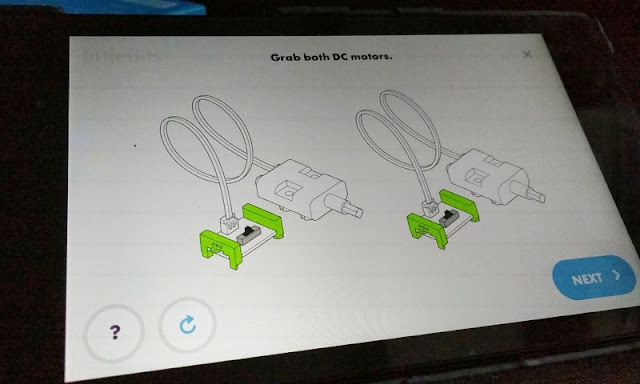 Being able to move at specific angles allows you to use the servo motor for lifting up and down, and turning things from side to side. 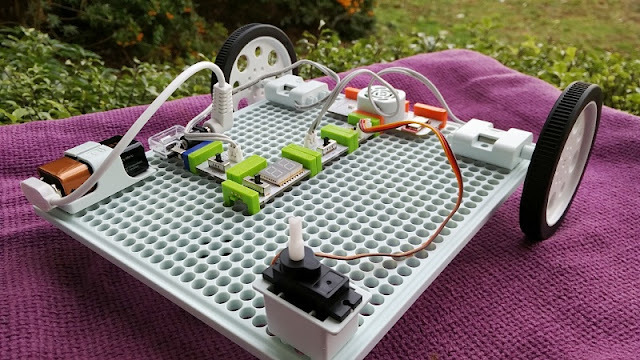 The Space Rover add-ons like the mechanical arm use the servo to function. Servo motors typically use an arm attachment with holes along its side so you can get more leverage when attaching objects to the arm. 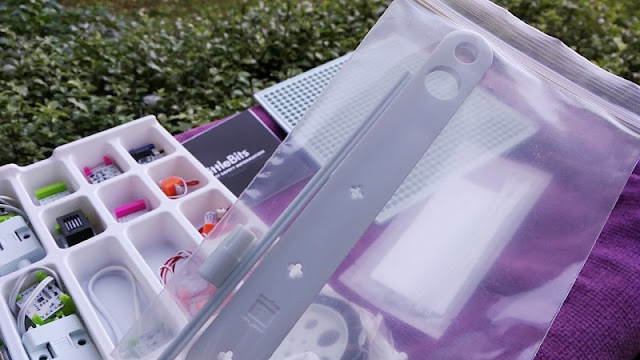 The Space Rover kit comes with a plastic axle and long arm plastic attachment made for the servo motor and DC motors when creating the Space Rover cargo launch. 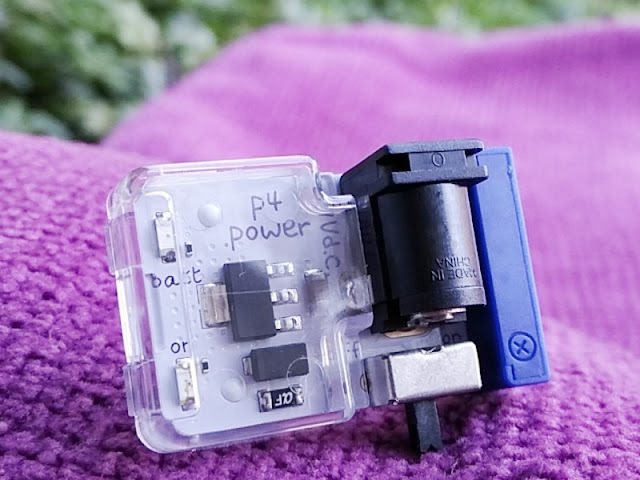 The P4 Power Bit delivers the power of a 9V battery to bring the Space Rover to life. 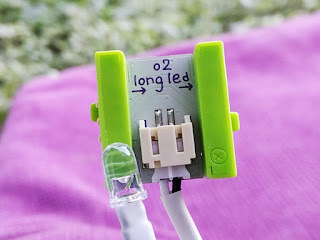 It features a DC barrel connector, a single magnetic connection as well as an ON/OFF switch. 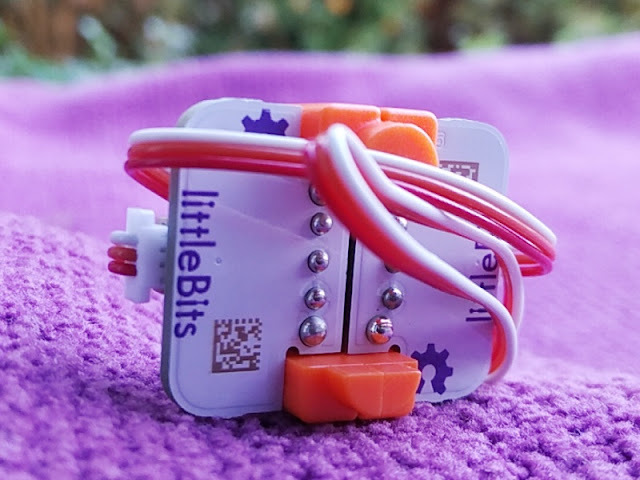 All the Bits have magnetic orientation to help you connect the Bits the right way so you don't have to fiddle around figuring out the right way. 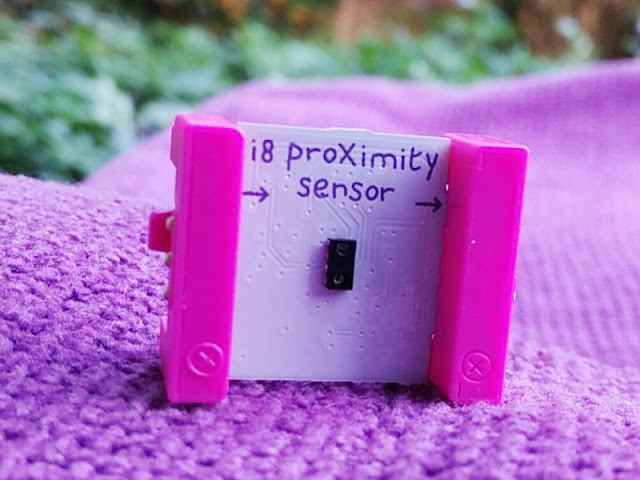 The i8 proximity sensor can gauge how far or how close something is so the Space Rover is able to navigate around obstacles. 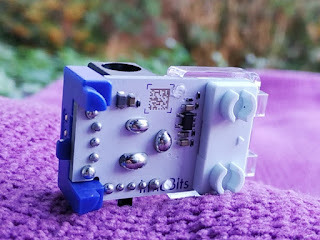 As mentioned earlier, the littleBits Space Rover Inventor kit comes with a 9V alkaline battery and a cable adapter (9V battery snap connector to DC male connector) to power the green Bits. 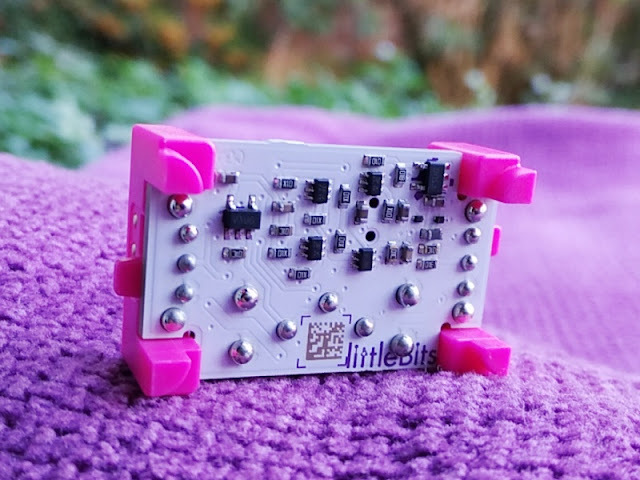 The Space Rover kit is designed to work with 9 volts so you cannot use the littleBits 5V USB power supply from another kit. 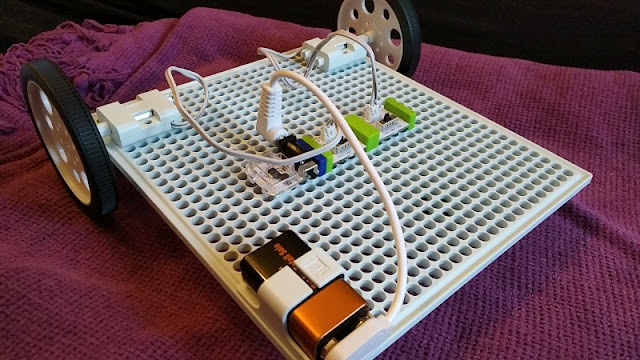 Having to replace batteries is always the biggest drawback but you can use a 9V power bank to power the Space Rover although the weight of it wouldn't make it practical so your best bet would be to get a couple of 9V Li-ion rechargeable batteries and charger. 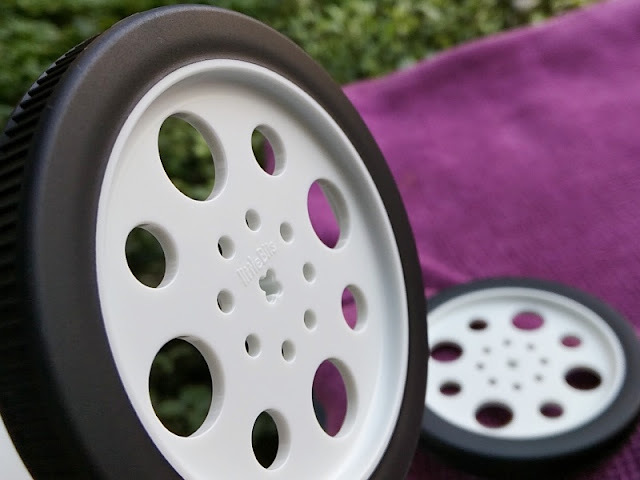 The ball caster is literary a solid plastic ball that inserts into a plastic caster to function as the third wheel of the Space Rover. The other wheels are proper wheels with rubber threading and plastic rims. 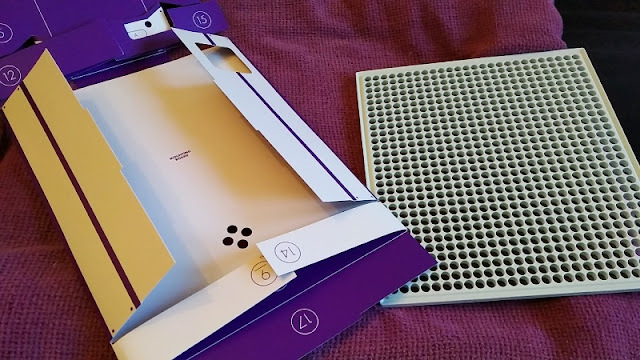 The Space Rover is made of paper cardboard and a breadboard base for mounting the electronic Bits. 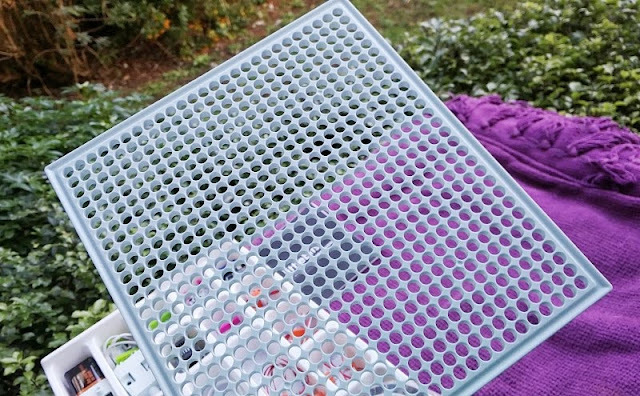 Constructing the Space Rover is as easy as folding the cardboard cutouts and clipping the Bits onto the breadboard base. 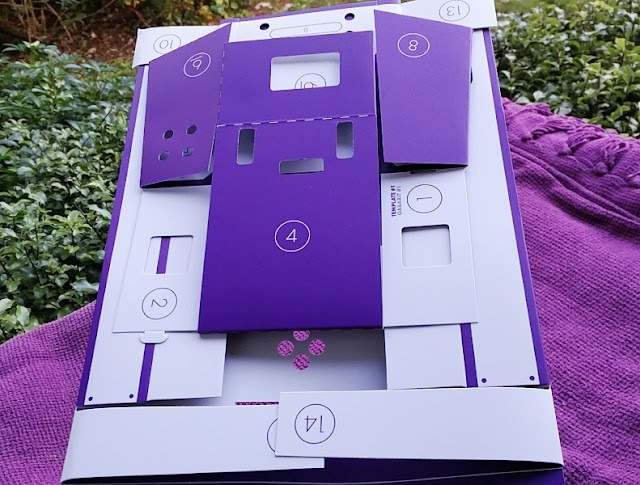 The video tutorials included in the littleBits app are useful detailed live demonstrations showing you step-by-step how to snap each Bit together and how to fold each section of the cardboard template into place by following the numbering on the cardboard templates. 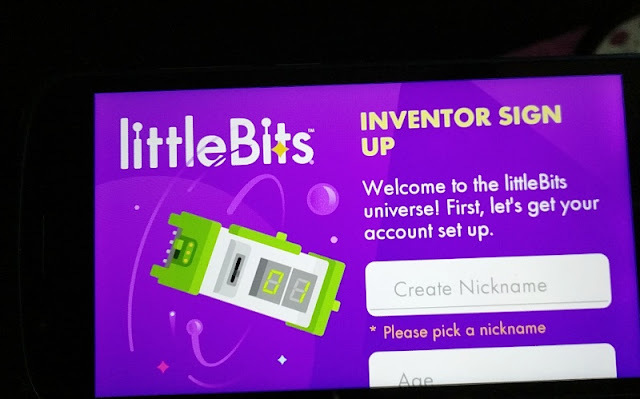 Learning how to build the Space Rover is done in challenge stages so the littleBits app features various inventions and activities for the user to complete. 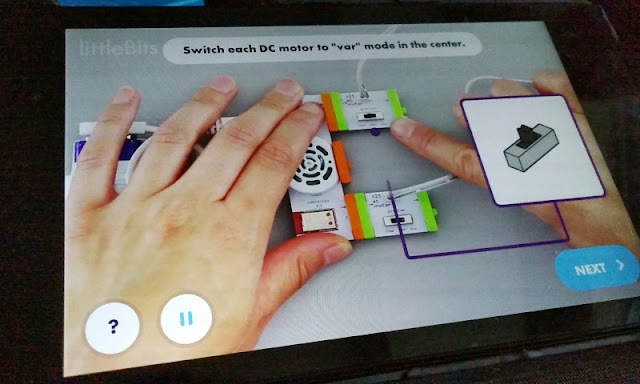 The littleBits app also teaches the user the purpose of each electronic modules, why they have different colors and how to construct a circuit properly. 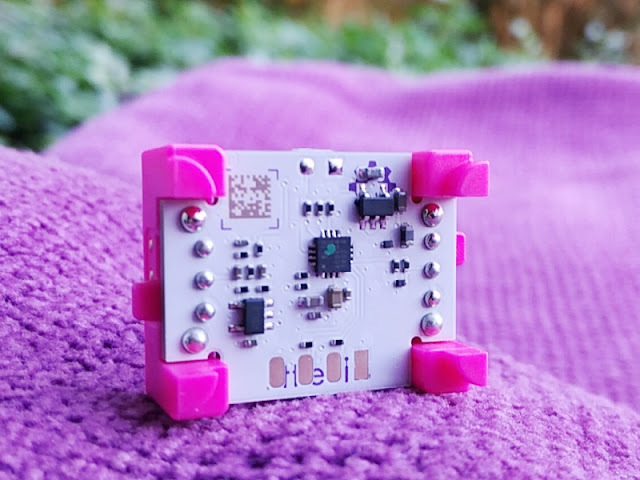 For instance, the green Bits are the output Bits, while the pink Bits are the input sensor Bits which are meant to be snapped before the control hub. 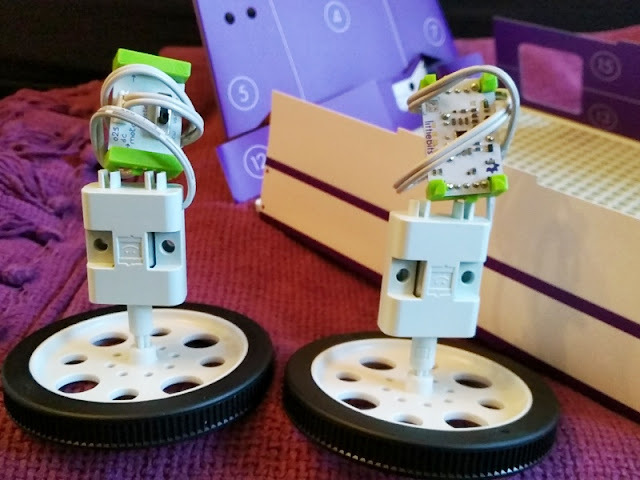 As far as operating the Space Rover, the littleBits app features onscreen joysticks and buttons that allow you to operate the Space Rover's mechanical arm and head, as well as drive the Space Rover left to right, forward and backward. You can drive the Space Rover while playing sounds and even record sounds.